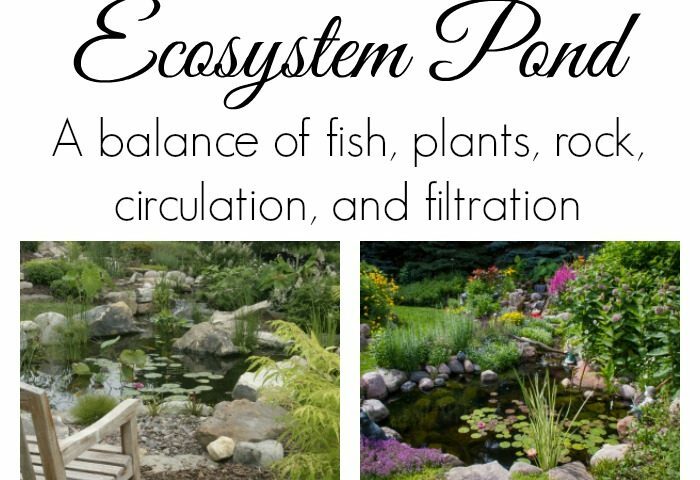 Understanding an ecosystem pond is simple once you know the basic components of what goes into a functioning ecological community. Mother Nature works with our naturally-balanced ponds to offer shelter, food, and safety to the wildlife surrounding it. They also give you an eco-friendly, low-maintenance slice of paradise. The circulation system encompasses all the plumbing and pumps needed for your pond. Acquiring a properly sized pump and pipe diameter is crucial for the health and aesthetics of a water feature. An efficient circulation system keeps the water moving while providing essential oxygen levels to keep your plants and fish healthy. An effective filtration system features both a biological and mechanical filter. Biological filters are the start of the waterfall and contain a filter mat which offers ample surface area to house beneficial bacteria that eliminate excess nutrients from the water. Mechanical filters pre-filter the pond water while also sheltering the pump; they also collect debris from the surface of the water to stop the buildup of organic materials at the bottom of the pond. Fish play a fundamental role in every ecosystem and are a joy to watch as they swim among the plants. In addition, fish reduce maintenance costs by feeding on string algae and other organic matter that accumulates on the rocks or pond floor. 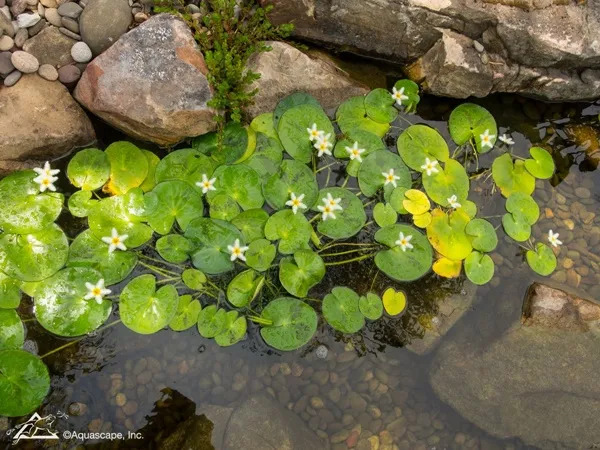 Aquatic plants are important for the pond environment due to their ability to act as a natural filter. 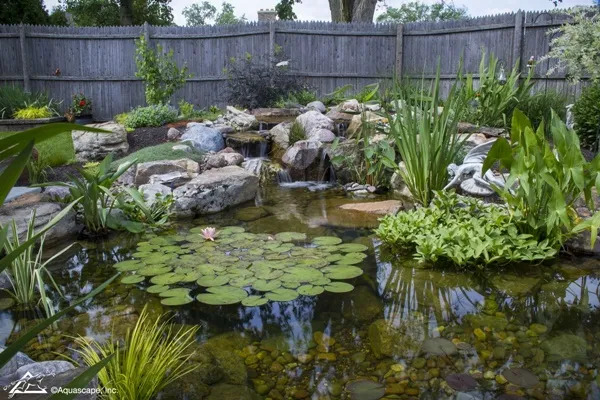 Yes, plants define the character of your pond by bringing color and texture, but as a filter, they’re essential. They thrive off the excess nutrients present in a pond while starving algae from its food source. The addition of aquatic plants in a water garden strengthens the overall health of the ecosystem while helping to reduce maintenance costs. Rocks and gravel provide many benefits in a pond. First, they come in a variety of types and give your pond a more natural appearance. They also protect pond liners from UV rays and give bacteria the surface area on which to grow. This bacteria eliminates excess nutrients and organic debris from the bottom of the pond. All in all, rock and gravel help ensure a low maintenance ecosystem pond. Including all these elements ensures success and health for your water garden. Most people go the ecosystem route of water gardening because it’s easier to maintain and looks more natural. Keep your pond chemical-free by working with Mother Nature so you can enjoy your low maintenance paradise! 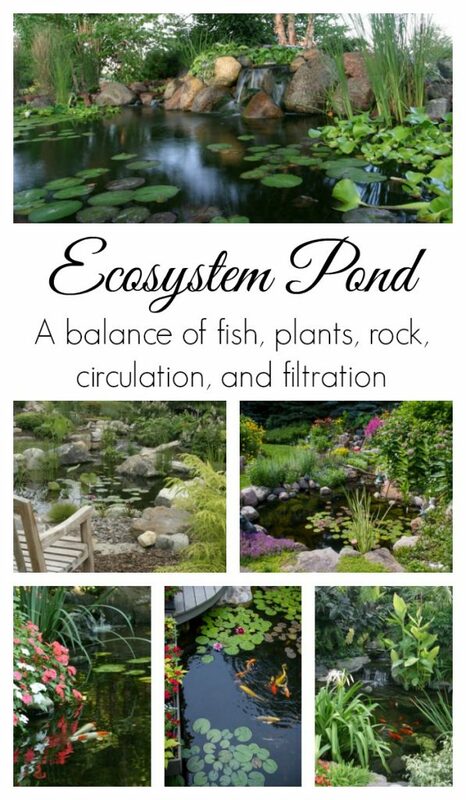 If you’re ready to install your own ecosystem pond, you can purchase Aquascape pond kits at our Water Gardening Store and Inspiration Center. Our kits include all the essential pond parts with simple installation instructions and a pond owner’s manual. Just follow our 20-step process and you’ll be enjoying your backyard oasis in no time!